The contractor will continue work on Auburn Avenue, Phillips Avenue, Burton Avenue and Kathy Kourt. Please note that the following construction schedule is subject to weather delays. Two pipe crews will continue to install storm sewer pipe. 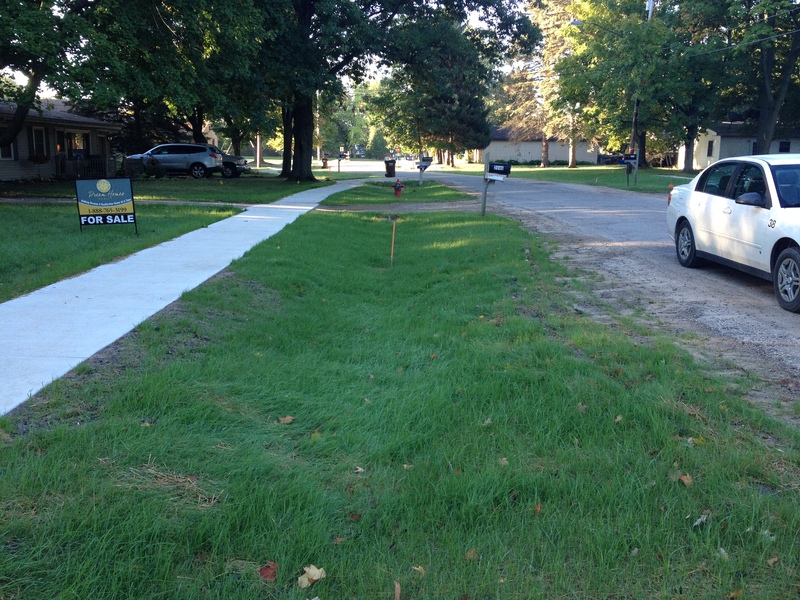 One pipe crew will continue to install storm sewer on the north portion of Phillips Avenue while the second pipe crew will continue to install storm sewer on Burton Avenue. The concrete crew will be installing forms and continuing to place concrete on Burton Ave. during the first part of the week. The restoration crew will begin work on Richard Street and Kathy Kourt shaping infiltration swales and placing the topsoil. The restoration crew will also be performing restoration work along Burton Ave. behind the concrete work. Lastly, the contractor will be installing a new outlet structure and trash rack to improve flow through the Diehl Consolidated Drain in the park at Tolland Avenue and Wemple Street. 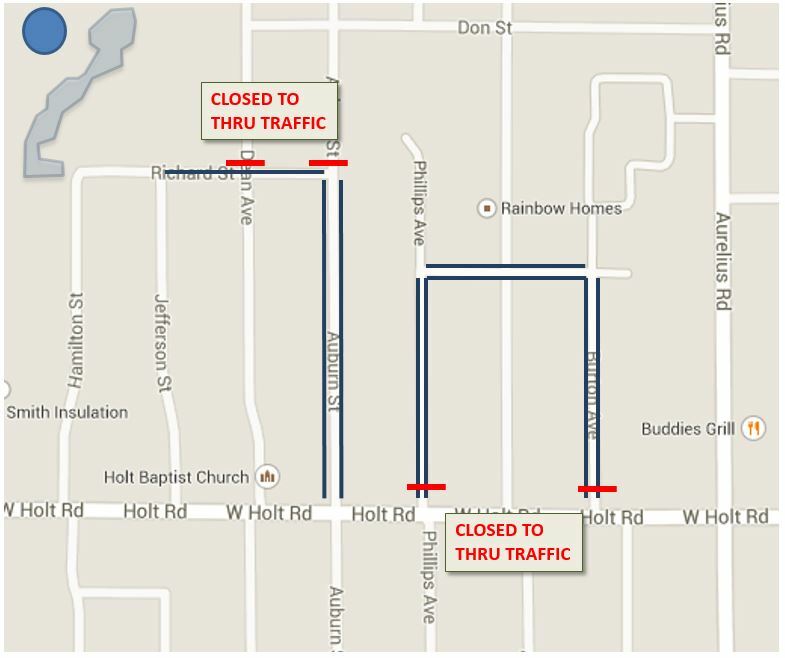 Auburn, Phillips and Burton Avenues will remain closed to thru traffic north of Holt Road as the contractor performs pipe installation and completes restoration work. We appreciate the public’s patience as you avoid this construction zone.